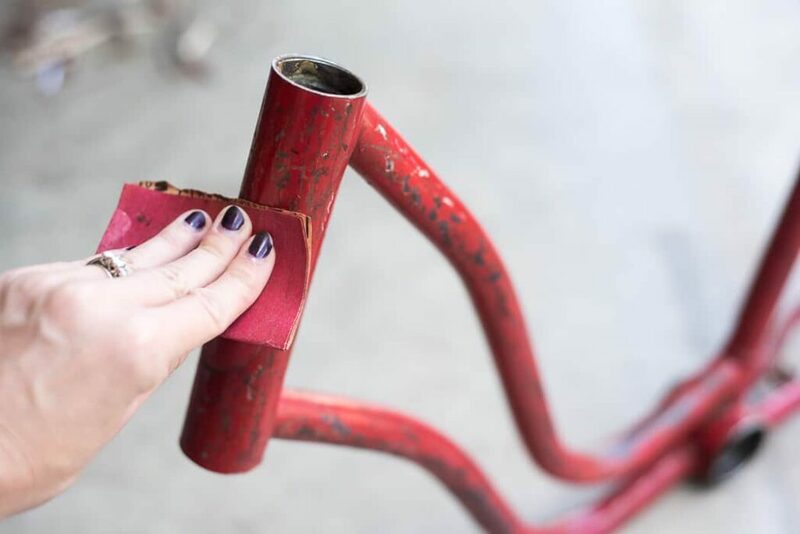 Today I am sharing with you how I turned my old vintage bike to a stunning new piece with STOPS RUST paint! 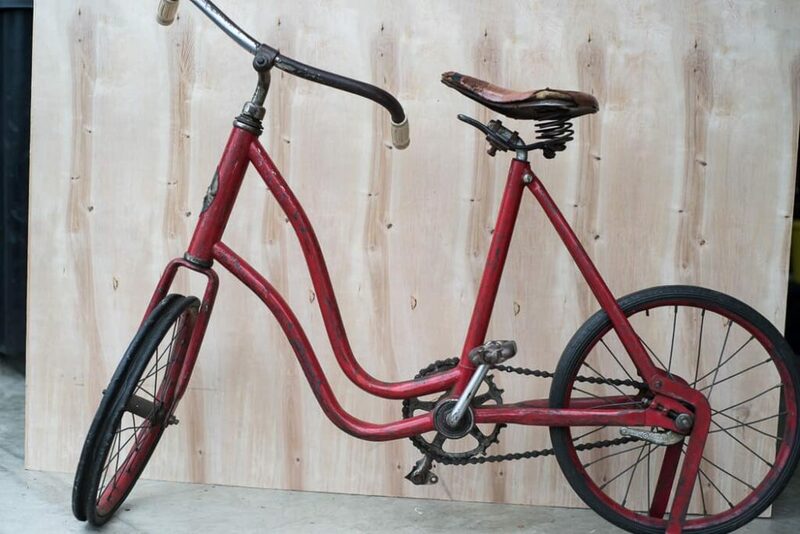 So here is the story of this old children bike. 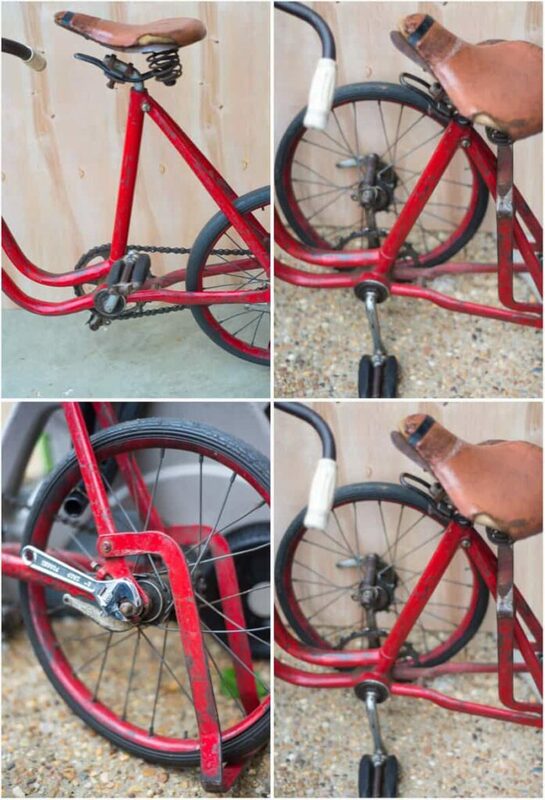 I am part of a few photography Facebook groups, and one day I spotted a post from a gal who found this bike, and she wanted to give it away to someone who would be brave to upcycle it. And here comes me..! :-) I love to turn old things into new. 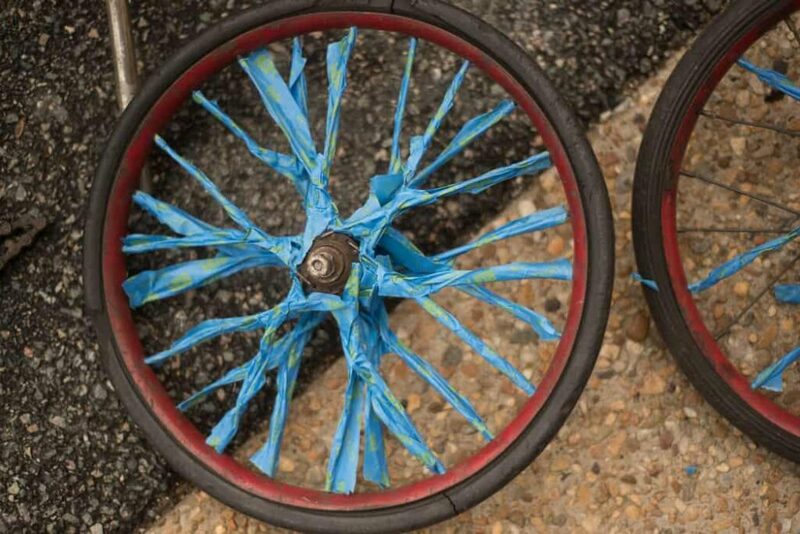 It’s just fun to see what you can do with old stuff! 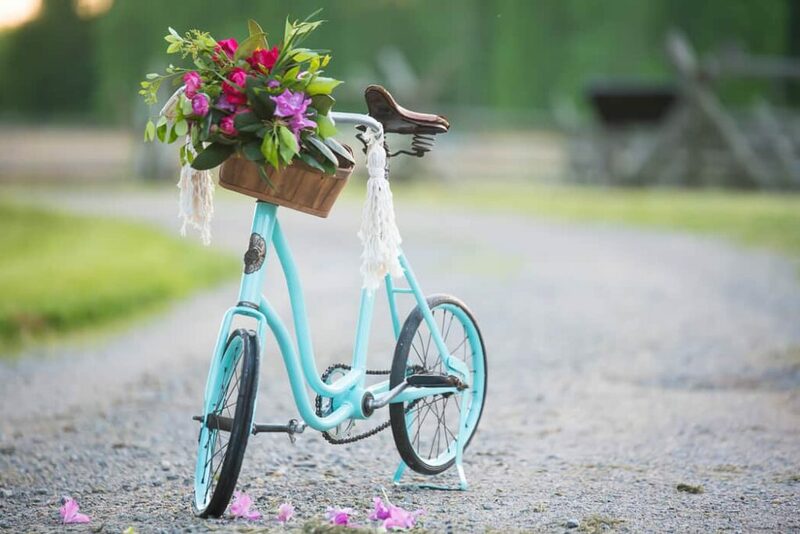 I as a photographer, and with spring being in season, thought that turning this vintage bike into a bright, fun, stunning photo prop for my Spring photo shoots would be a great idea! I picked up the bike, and I could not wait to put my hands on this piece! I went to my local Home Depot and picked up a few Rust-Oleum STOPS RUST paint for the project. 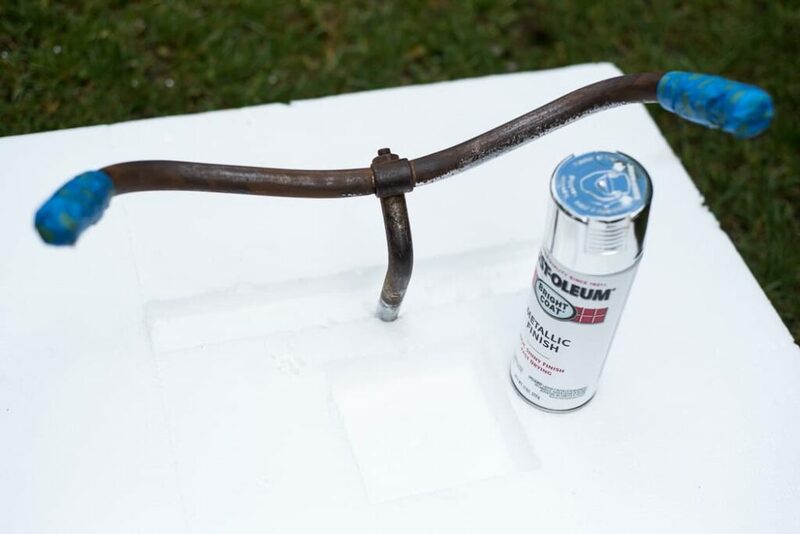 Nothing protects your projects like Rust-Oleum Stops Rust Protective Enamel. Rust-Oleum has nearly 50 popular colors in three finishes. I almost could not choose which color I was going with, but after hesitating enough, I loved the Gloss Light Turquoise the most! 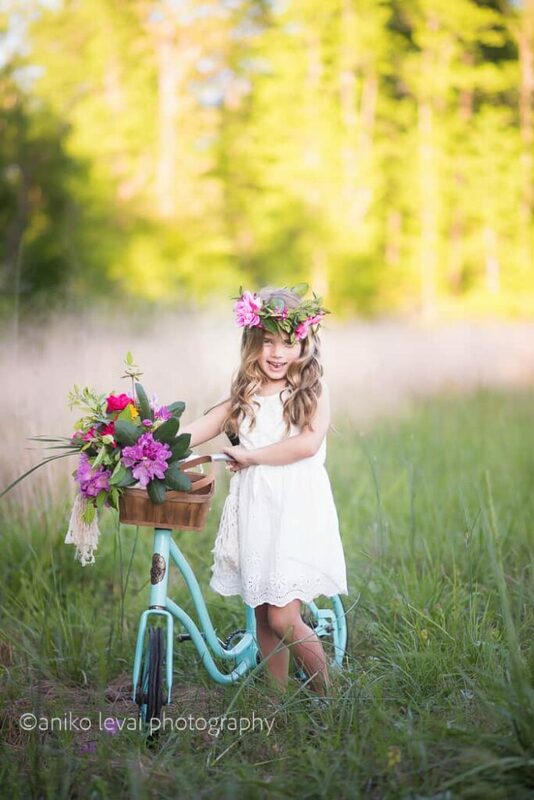 I immediately pictured a photo in my head featuring a gorgeous upcycled turquoise children bike with a little girl having a flower halo and a pretty floral bouquet. Sigh! You know…when you picture that dreamy photograph in your head! We had lots of rainy days in the last week in April, but as soon as the sun came out, I started working on my fun project. As a first step, I took the vintage bike apart. To pieces. Then I covered the areas that I didn’t want to get paint on with painter tape, and I was ready to spray this baby! Before I went on with a coat of STOPS RUST, I sanded the entire surface to clean off the grease and dirt. 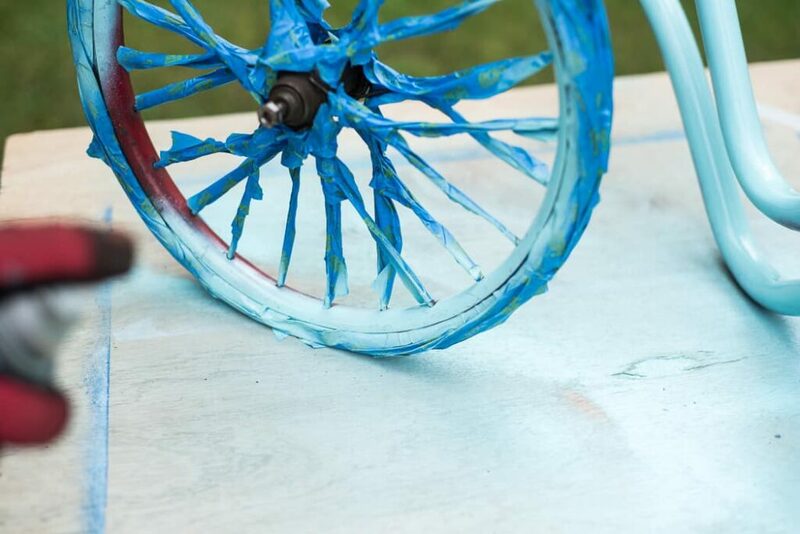 As it was a gorgeous and sunny day, I spray painted the bike on my backyard far away from everything. I recommend for you to prepare the area before you start spraying. I used two coat of paint to cover the red color perfectly. For the handle, I used the Bright Coat Spray- Metallic finish- Chrome, and it looked fantastic after it was dry. Guys! I can’t tell you how much I love the outcome! That ol’ vintage bike looked like a new bike after I assembled it. To make it look stylish, I went to a local thrift store, and I bought a small basket to attach to the front of the bike. And BAM! The old bike looked exactly what I imagined! I made a few large tassels, too! Aren’t they fun? …and drum roll, please! 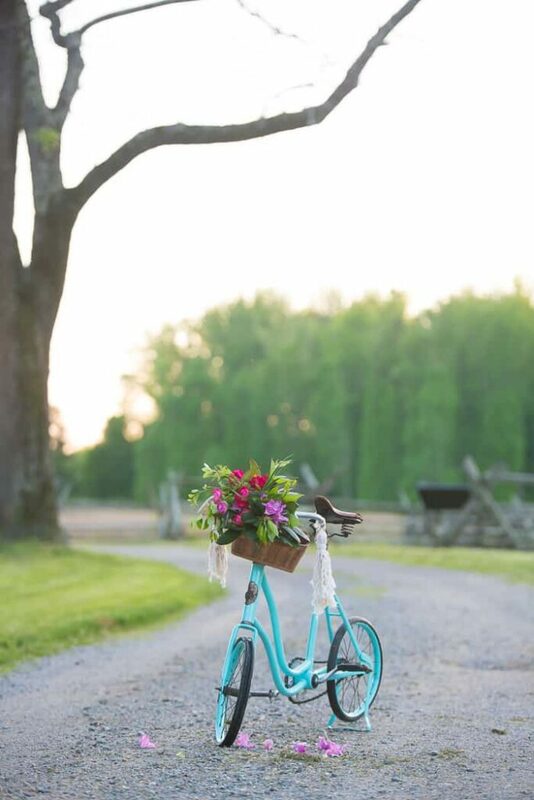 THE dream photo I envisioned with this upcycled bike! What do you say? 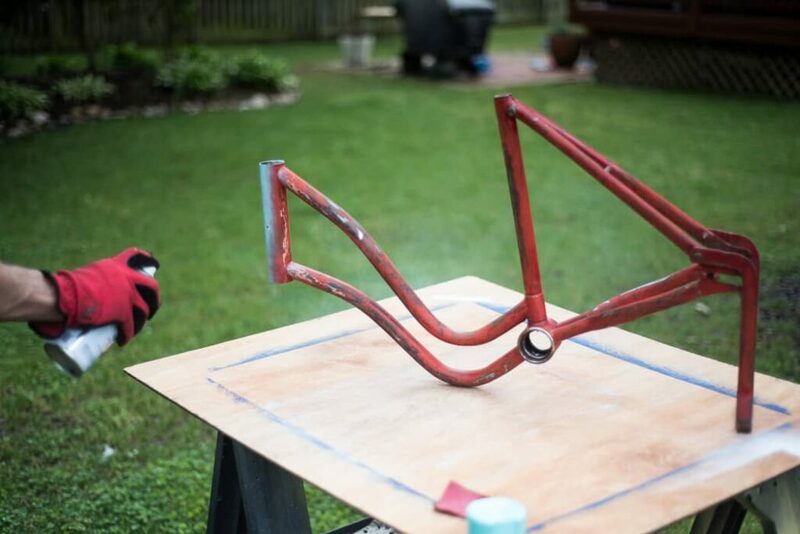 Yay or nay for Rust-Oleum STOPS RUST paint? 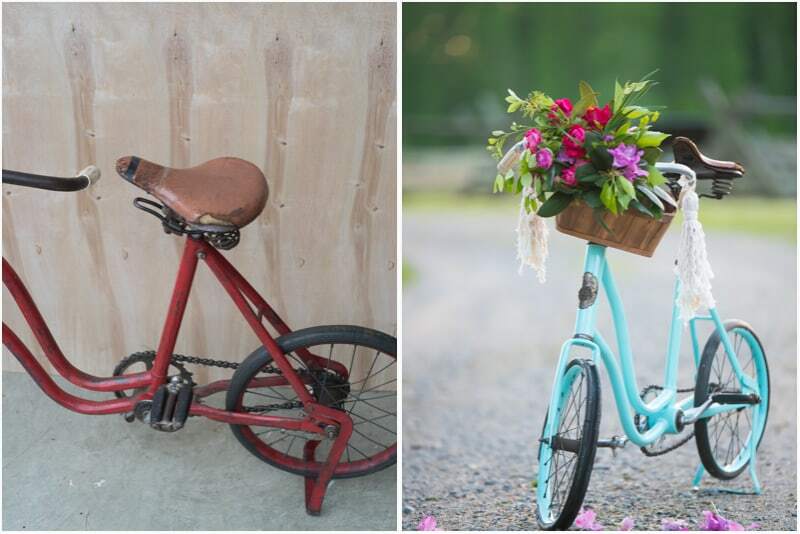 You can turn any old metal item to a new piece in such short time. 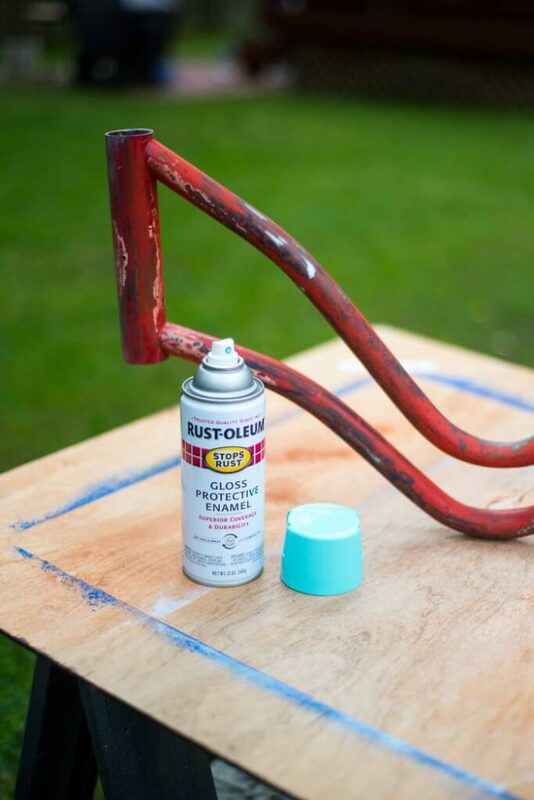 Get those rusty, metal items out from our shed and spray paint away with Stops Rust! Once you get your project done, hop over to Instagram or Twitter and share your project using the hashtag #stopsrust and #inwiththeold and you could be one of the lucky winners who takes home a $100 gift card to the Rust-Oleum retailer of your choice. Make sure to follow @Rustoleum on Twitter and @Rustleumusa on Instagram. See the official contest rules and additional information at www.stopsrust.com. I hope I inspired you to turn an old item to new! 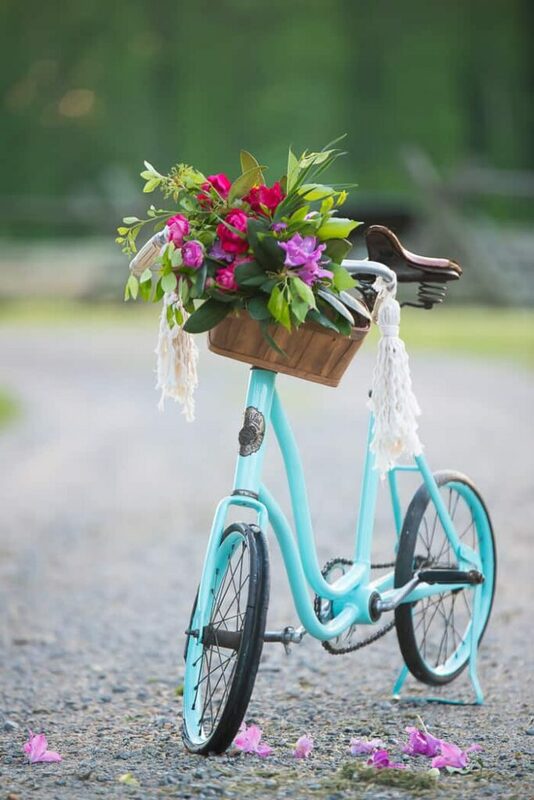 i have a child’s bike just like this and need to do this! adorable! So sweet! I love how you brought your vision to life! I love it! I have an old wagon that hasn’t been used in years. You’ve inspired me to get out and do something with it! 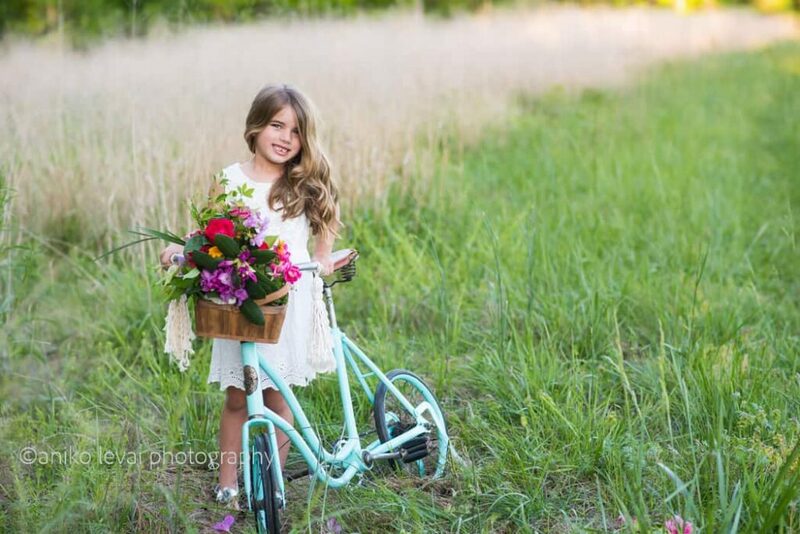 What a fun project and I’m so glad you found a little girl to make your vision complete. Great job on this project! 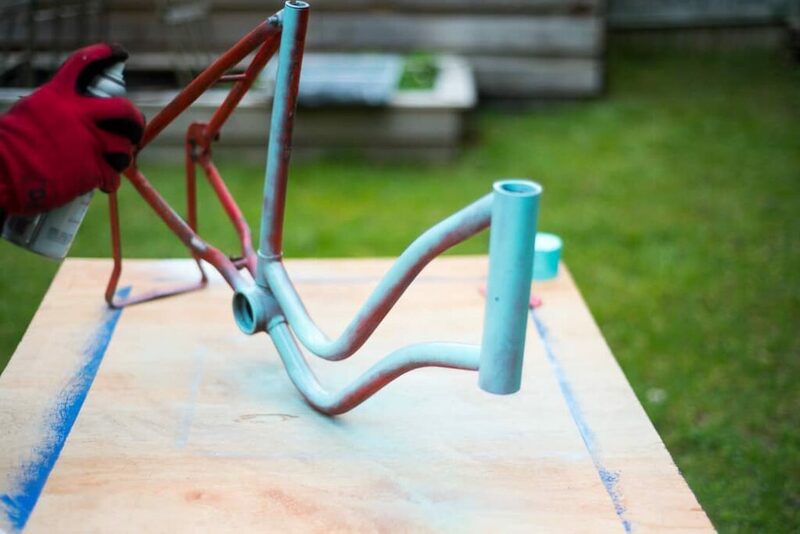 I wish I could get a better view of the handlebars as I am considering using that paint.